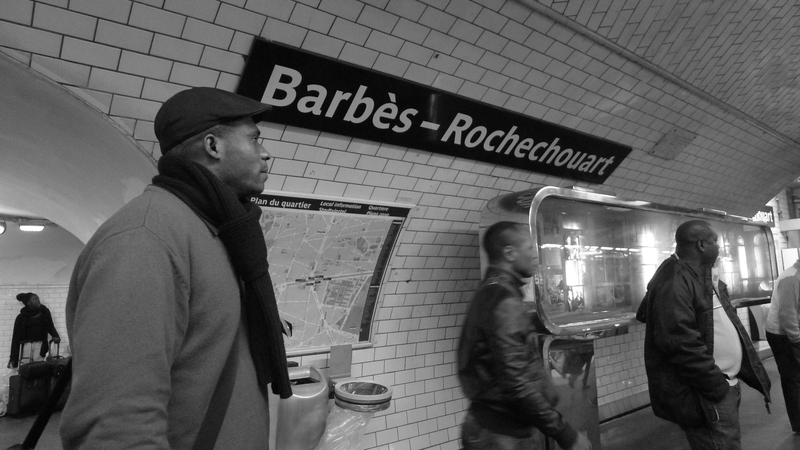 Contrary to popular belief, Barbès adopted such life style not after African migrants moved in. Even back in the nineteenth century this place was famous for a sharp temper and widespread chaos. As a suburb of Paris, the Goutte d'Or (formed name of Barbès), lured most motley crowd from all over France with its pubs and brothels. It was a perfect destination to take refuge from justice, and give full swing to fun. By the way, the famous author Émile Zola was not above such leisure, and even dedicated his novel with the eloquent title L'Assommoir (The Drinking Den) to the district. This name was written on the sign of the legendary pub where Parisians from all districts spent their days and nights, because inside the city alcohol was more expensive due to tax. Therefore, Zola and other non-strangers to the bottle, used to cross the conditional border between the capital and the suburbs and swing from the chandelier for a penny. 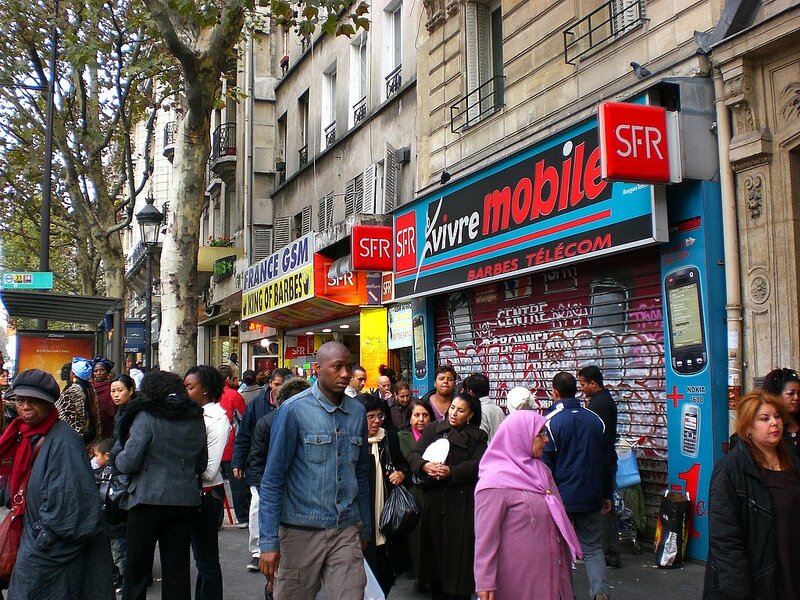 In the twentieth century, when Barbès joined the eighteenth arrondissement of Paris, Africans who went to Europe in search of better life, began to move in. There they found lower-than-average housing prices, more job opportunities, and nobody studied their documents. Most of the time they were engaged in illegal business - mainly sorting and distribution of drugs in the city and the country. Such activities often ended up with police raids, so local inhabitants got more and more isolated, only very courageous guys left the district territory. As mayor of Paris, the future president of France Jacques Chirac once said that the place has a special atmosphere with integral attributes of noise and smell. This ultra xenophobic quote by not the most right politic illustrates the fact that the problem is not just there, it spins out of control. Today, "new" Africans are being employed and moved to other areas to make their concentration not so vast inside one district, so the basic aspirations of the officials are sent to the future, because the existing Goutte d'Or and other ghettos are unlikely to be rearranged. Most interesting is that the tourists are treated very favourably there, as they bring money and some variety to harsh life. Of course, everyone is advised to go for a walk along Barbès boulevards with a minimum of valuables and preferably during daylight hours. It is a prime territory for new impressions, from the unique regional cuisine with couscous and lamb, real street rap, amazing dancing, to the opportunity to smoke a counterfeit "Marlboro" cigarette, well, or something stronger - marijuana is offered in all languages. This walk will not just open another Paris, but will definitely make one think about globalization of our planet and that the racial conflicts in the 21st century is a real problem that feels more and more acutely. 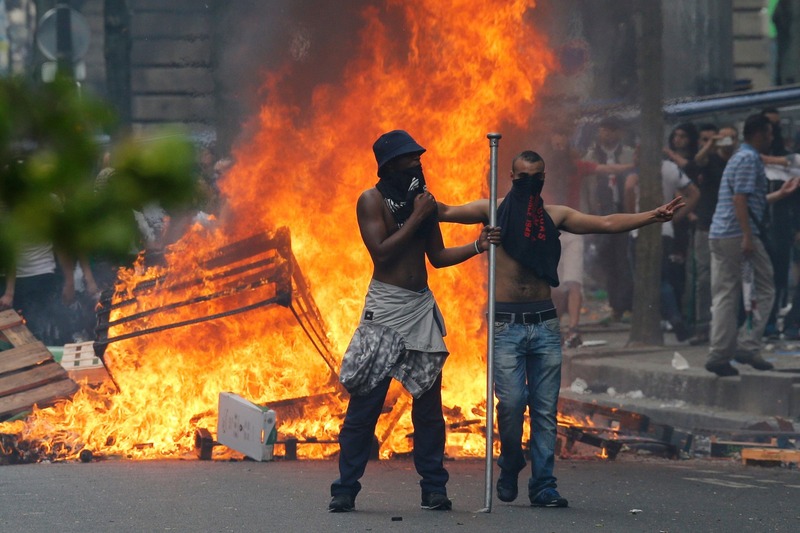 Barbès is the best illustration of the fact that it is not a solution to close all new comers inside one ghetto, but just an attempt to delay solution, because every day both Africans and other migrants become more and more numerous, and for good reason such areas are compared with time bomb. Anton Sak moved to France so as to get high education. During several years he has been studying at Chemistry Faculty of Le Mans Université. Today he will tell us about Le Mans, the wonderful old French city with the special brightness. It is unknown for tourists; however, it is the interesting destination in the route of avid traveler. The Ambassador Extraordinary and Plenipotentiary of France to Ukraine Isabelle Dumont organized an official diplomatic reception in honor of national holiday, Day of storming of Bastille as well as 25-th anniversary of diplomatic relations between Ukraine and France.